Is Maharashtra heading towards credit shortfall? The Chief Minister Devendra Fadnavis-led delegation plans to visit Washington to meet the World Bank president for seeking financial aid for agriculture and solar energy projects. The Maharashtra government is likely to knock at the door of World Bank again for the credit capital to fund its ambitious projects, especially after farm loan waiver dented the state's exchequer. The Chief Minister Devendra Fadnavis-led delegation plans to visit Washington to meet the World Bank president for seeking financial aid for agriculture and solar energy projects, reported Mumbai Mirror. According to sources, the state government is also facing financial constraints in funding projects like urban transport and smart cities. In March 2017, the World Bank proposed a financial assistance of $1 billion to Maharashtra in critical projects related to urban transport, smart cities, renewable energy and separate agriculture feeder in two to three years, in addition to the climate-resilient agriculture practices. The World Bank Board of Executive Directors, in February, approved a $420 million project to increase climate resilience in agriculture for small and marginal farmers and the final agreement was signed in April. The project is expected to benefit over 25 million people spread over 5,142 villages across 15 most climate vulnerable districts of Marathwada and Vidarbha regions. The credit shortage of Maharashtra is primarily because of the Rs 34,000 crore farm loan waiver announced last year following high number of farmer suicides and agitations across the state. Thanks to the one-time waiver of Rs 16,703.59 crore that benefited more than 35 lakh farmers, the revenue deficit increased by 74 per cent to Rs 14,843 crore in the last financial year from Rs 8,536 crore in 2016-17. It is projected to increase by another 4 per cent to Rs 15,375 crores in 2018-19 as the government estimates to write off Rs 10,141.52 crore loans. The reports say that the state's finances will take further hit when the government implements the Seventh Pay Commission for employees. 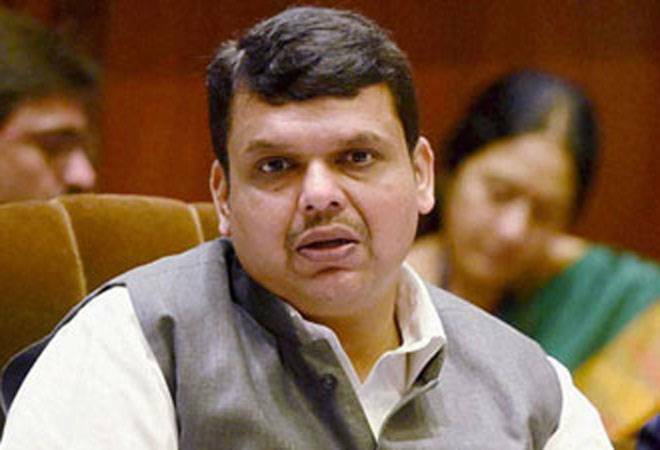 The Maharashtra government in March informed, the state Legislative Council that the Seventh Pay Commission arrears will be paid to its employees this year, and the move will put a burden of Rs 21,500 crore on the state exchequer. When World Bank Chief Executive Officer Kristalina Georgieva visited Mumbai in March 2017, she said that the five core areas where the World Bank and the state would work include road connectivity, climate resilient agriculture, smart cities, renewable energy and separate agriculture feeder. The CEO had expressed her keenness to provide assistance in railway projects such as Mumbai Urban Transport (MUTP) 3, which requires Rs 10,085 crore investment and the central government allocated just Rs 519 crore in the last union budget. Another World Bank project which is under implementation is Maharashtra Agricultural Competitiveness Project. In 2010, World Bank approved $100 million non-interest bearing credit to increase the productivity, profitability, and market access of the farming community in Maharashtra. The project aims to strengthen farmers' capacity through technical knowledge, market intelligence, and market networks to support diversification and intensification of agriculture production in responding to market demand. The project is expected to be concluded this year. Maharashtra is the most affluent state in the country, both in terms of gross state domestic product (GSDP) and per capita income. According to the 2017-18 estimates, Maharashtra is expected to grow to $390 billion economy, followed by Uttar Pradesh ($225 billion), Tamil Nadu ($210 billion), Karnataka ($200 billion) and Gujarat ($199 billion). Maharashtra's 2016-17 per capita income of Rs 1,64,757 (at current prices) exceeds the country's per capita income of Rs 1,03,870 by almost 60 per cent. CM Fadnavis at the Make in Maharashtra summit in February said that he wants to catapult the state economy to $1 trillion by 2025.